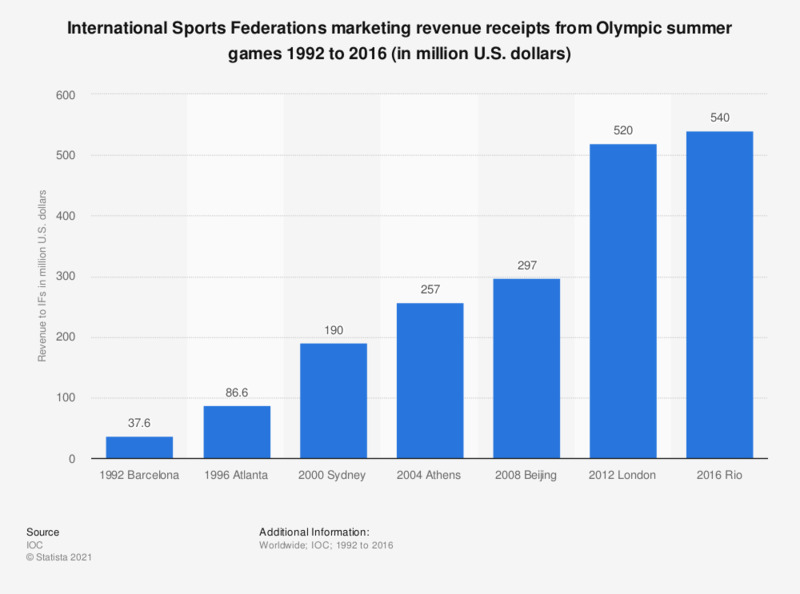 This graph depicts the marketing revenue contributions from Olympic Games to International Federations (IFs) of Olympic Summer Sports from 1992 to 2016. The marketing revenue contributions from the Olympic Games in Rio in 2016 to International Federations (IFs) of Olympic Summer Sports amounted to 540 million U.S. dollars. The International Sports Federations are international non-governmental organisations recognised by the International Olympic Committee (IOC) as administering one or more sports worldwide. Data preceding 2004 come from earlier reports.